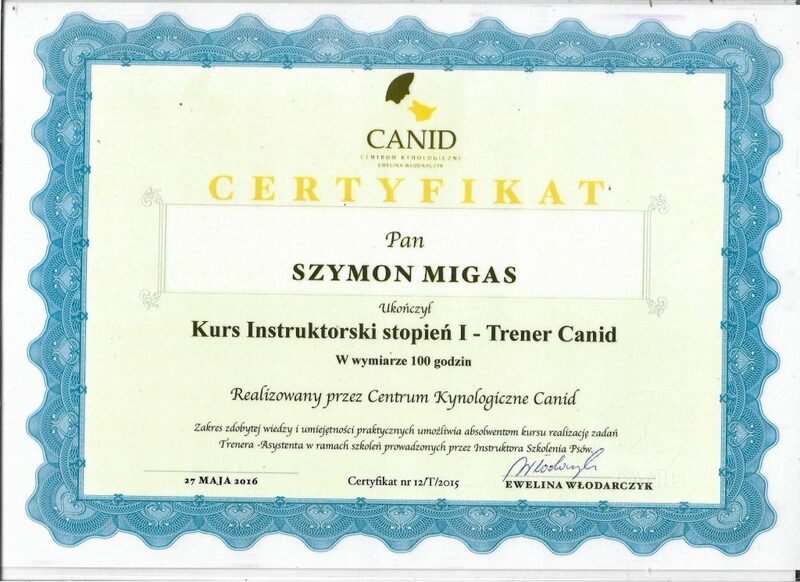 Veterinary technician. 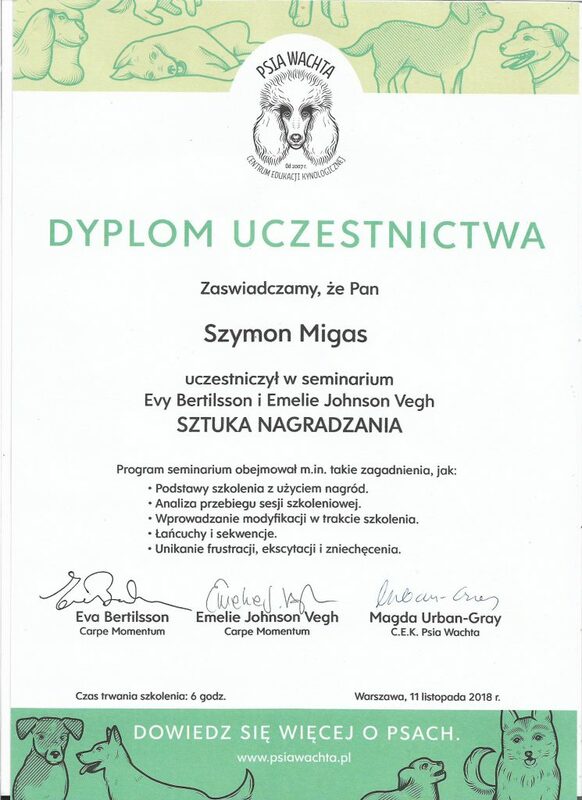 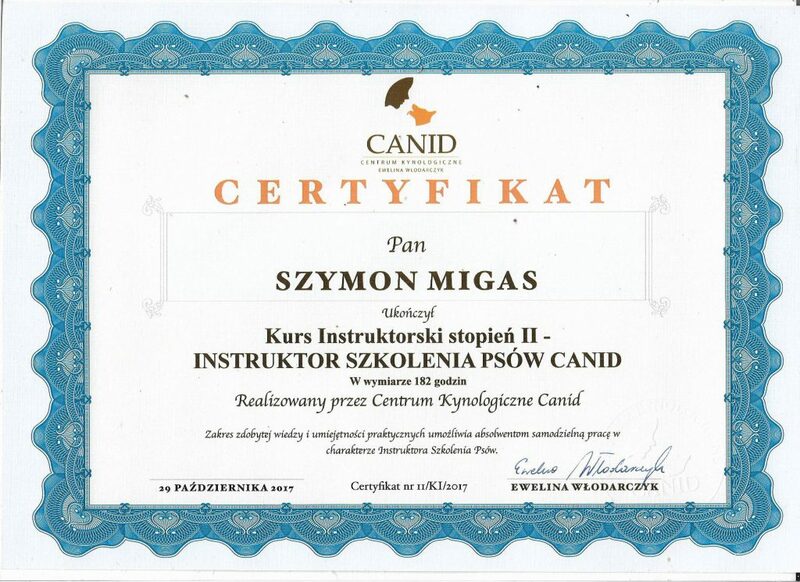 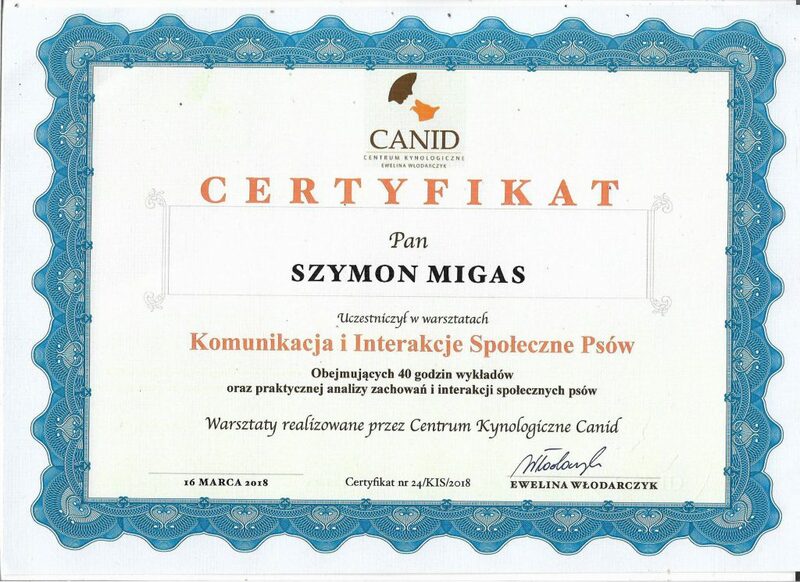 Szymon graduated I and II degree Instructor’s Course organized by Canid Cynological Centre. 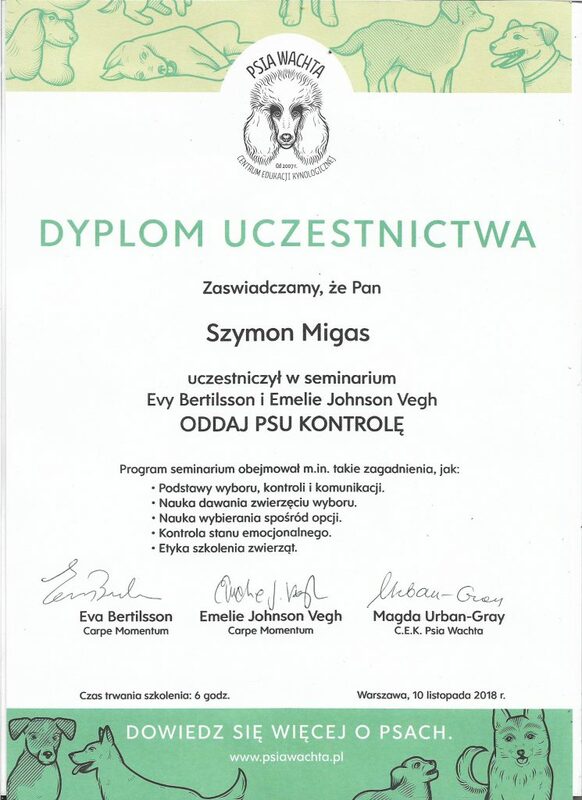 Participant of many seminars and workshops on animal psychology and training. 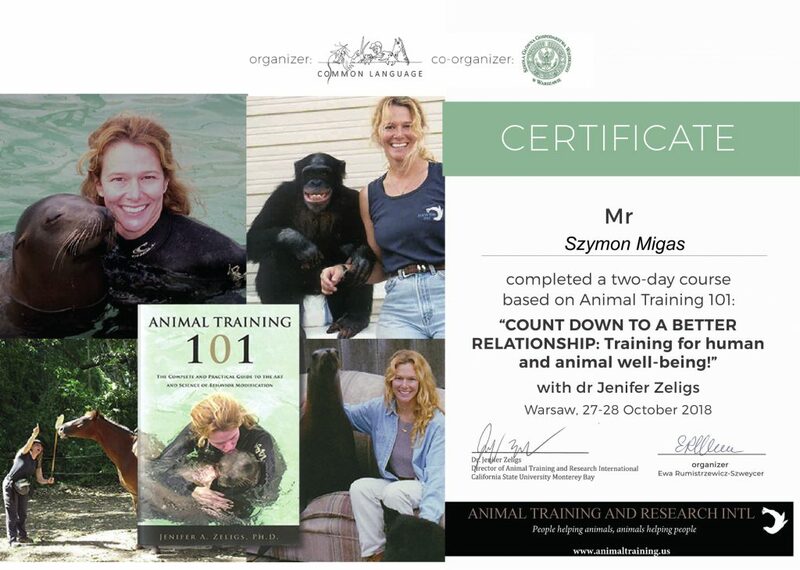 Szymon takes special interest in working with fearful dogs, and dogs that are not fearful by nature but display aversion to human contact. 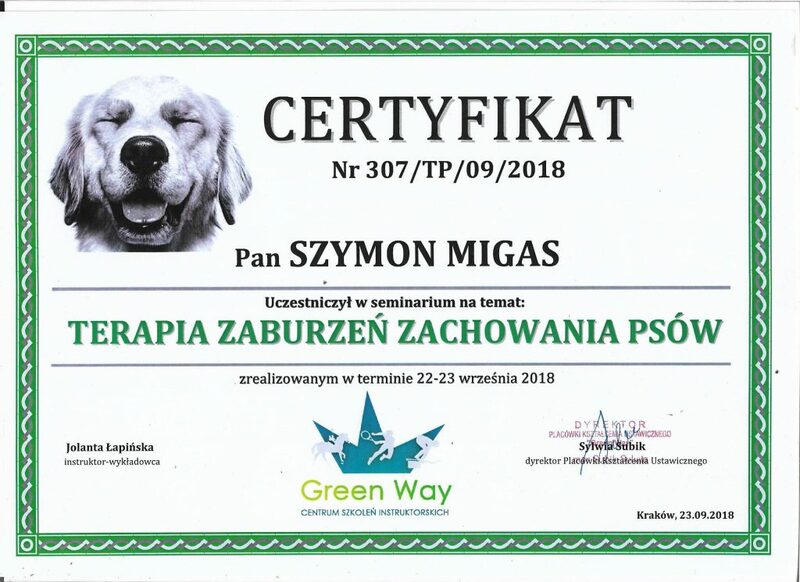 In personal life, a guide to three wonderful dogs rescued from a shelter, as well as one almost permanently purring cat.